In our fight for a world free from hunger, it’s essential that we understand the different experiences women, men, girls and boys have in the countries in which we work. Thanks to your support, Action Against Hunger is committed to addressing these different needs in our work while also ensuring we create a gender-sensitive and enabling environment across our organization. Action Against Hunger has been proactively working since 2013 to better address gender issues in our programs and across our organization. The Gender Unit, a group of five staff housed in Action Against Hunger Canada, supports the organization’s commitment to gender equality by providing tools and training to our teams across the globe. However, in an organization of over 8,000 staff working in 50 countries, the Gender Unit cannot do this alone. The Gender Unit works closely with a group of passionate staff from every level and corner of our global organization to ensure gender remains on our agenda. Action Against Hunger’s Gender Champions include 30 staff (23 women and 7 men) from 20 countries who include Country Directors, Technical Advisors, Project Managers and Advocacy Officers, to name a few. Action Against Hunger’s Gender Champions met in Senegal for the third annual Gender Champion workshop to reflect the ways that we are working towards gender equality in the fight against hunger, and ways that we can go even further. The Gender Champion from Mauritania showed how communicating in more gender sensitive ways has created a positive and open environment in the office, for instance by ensuring the use of examples and photos that include a variety or genders and ages. Our office in South Sudan, with a high ratio of male employees, has been able to hire more women because of actions taken to reduce barriers for women at work. One way the office did this was by creating a breastfeeding room where lactating women can pump and store their breast milk while at work. While Action Against Hunger has made significant progress as an organization to address gender issues, we know that we can go further and working towards gender equality in the fight against hunger. During the workshop, our Gender Champions discussed ways that we can be a more inclusive and diverse organization by considering the different needs and capacities of LGBTQ staff and staff with different abilities in our policies. This conversation was sparked by a panel discussion with representatives from organizations including UN Women, Amnesty International, Humanity and Inclusion, as well as a Professor and psychosociologist from Senegal. Guided by Action Against Hungers’ monitoring, evaluation and learning experts, the Gender Champions also explored ways to track and analyze information specific to gender in our programming. For example, it is important for us to track the number of boys and girls that get treated in our nutrition sites in order to evaluate their rates of recovery and to learn about ways to improve our programming if there are noticeable differences between genders. One solution that was discussed during the workshop was creating standardized gender indicators for the entire organization, similar to those we employ in our nutrition programs. 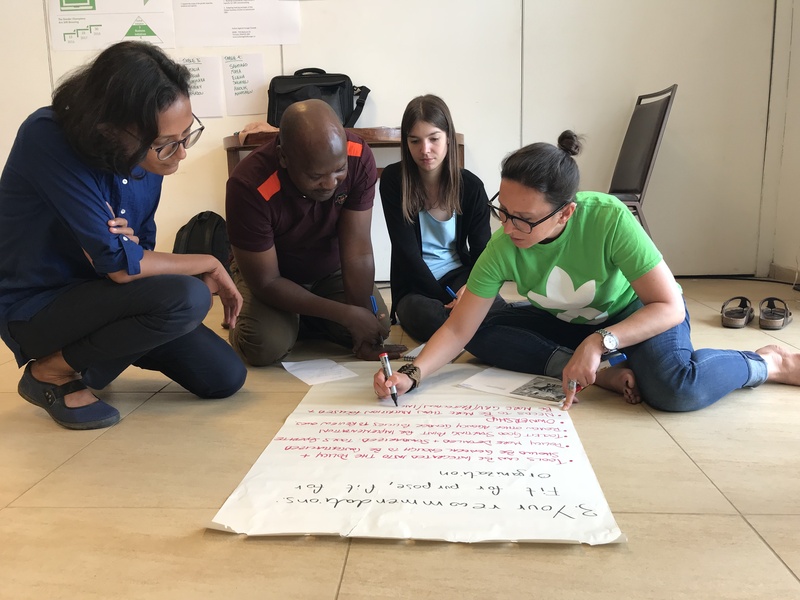 This workshop not only created a space for important conversations around Action Against Hunger’s role in achieving gender equality and the fight against hunger, but it also allowed for Gender Champions to collaborate and share with one another. The Gender Unit is now working hard to capitalize and follow-up on the great ideas that came out of these three inspirational days.